Equipped with a multitude of communications hardware, the WGS satellites are part of an effort to provide enhanced communications to armed services around the globe. A key element of the current generation of WGS satellites is the ability to have their software reconfigured while on-orbit. The fleet is currently undergoing an update of its operational software, as well as an upgrade to the ground-support hardware, to ensure better protection of the system from interference, be it unintentional or from an enemy with ill-intent. The WGS constellation is able to support broadcast, multicast, and point-to-point communications. This flexibility provides the United States and its allies with a resilient and extensible set of tools with which to connect with our men and women in the field. 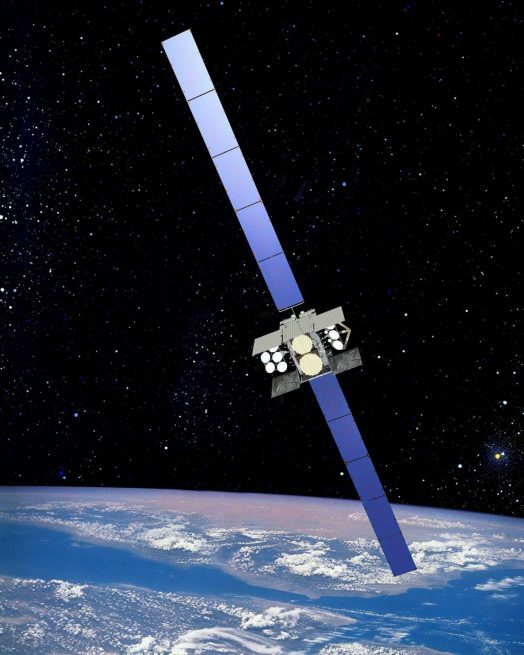 WGS-8 is a part of the “Block II” family of WGS satellites and is built on the Boeing 702HP spacecraft bus. The 702HP architecture was announced by Boeing in 1998, and it has been the basis of many satellites, both public and private, since. As with the five previous WGS launches, United Launch Alliance (ULA) has been tasked with the responsibility to get the communications satellite to orbit aboard a Delta IV Medium+ (5,4) rocket configuration. The launch of WGS-8, currently scheduled for December 7, 2016, will mark the sixth flight of that variant of the Delta IV rocket. All launches to date of that configuration have been in support of the WGS program. A workhorse of United States Department of Defense (DoD) payloads, the Delta IV can be arranged in a variety of configurations to meet the customer’s needs. The Medium+ (5,4) moniker signifies the Delta IV has a 5-meter payload fairing and 4 supplemental solid rocket motors. The core stage of the Delta IV is powered by the liquid hydrogen and liquid oxygen (hydrolox) fueled RS-68 engine, manufactured by Aerojet Rocketdyne. The RS-68 creates quite a sight with its ignition often bathing the base of the vehicle in burning hydrogen as the engine spools-up to its 705,000 pounds (3,137 kilonewtons) of sea-level liftoff thrust. The four GEM-60 solid rocket motors, manufactured by Orbital ATK, will ignite once the RS-68 is ready for flight and help lift the vehicle off the pad. The 60-inch diameter motors each produce 197,500 pounds (879 kilonewtons) of force and burn for 90 seconds before being jettisoned. After the core stage exhausts its fuel, it will separate from the second stage and will splash down in the Atlantic Ocean below, not to be recovered. The Delta Cryogenic Second Stage (DCSS) is powered by a single Aerojet Rocketdyne RL10B-2 engine producing 24,750 pounds (110.1 kilonewtons) of vacuum thrust. The RL10B-2 on the DCSS is noteworthy in that it uses an extendible nozzle. The engine’s nozzle lengthens to 163.5 inches (415.29 centimeters) upon separation from the first stage. This additional 77 inches (195.58 centimeters) of extension increases the performance of the engine, pushing the stage and its payload to the desired orbit. The Medium+ (5,4) arrangement is capable of lofting up to 7,430 kilograms (16,380 pounds) to geostationary transfer orbit (GTO), easily handling the nearly 6,000-kilogram (13,227-pound) WGS-8 spacecraft. The launch window for WGS-8 is 6:53–7:42 p.m. EST on December 7 (23:53–00:42 GMT Dec. 7/8), 2016. The L-3 forecast currently indicates an 80 percent chance of favorable weather conditions, with the primary concern being thick clouds. ULA will provide live launch coverage of the WGS-8 mission on their YouTube channel beginning at 6:33 p.m. EST (23:33 GMT). SpaceFlight Insider‘s live webcast will begin at about 6:30 p.m. EST (23:30 GMT). Both streams, along with mission updates, will be available on our Mission Monitor page.